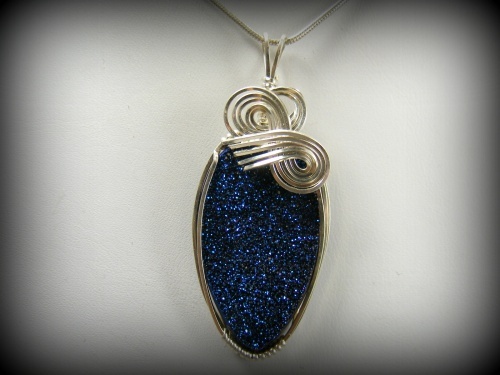 This amazing titanium druzy is beyond explanation! It sparkles like youve never seen. Deepp blue with crystals coming at you in every direction. Surely youll be the envy of anyone who sees this. Embelished with sterling silver curls, piece measures 2" from top of bail to bottom and 3/4" wide and, comes with a sterling silver snake chain. One of a kind.